So I have talked about stone benches on a number of occasions, and now I am going to talk about them some more. 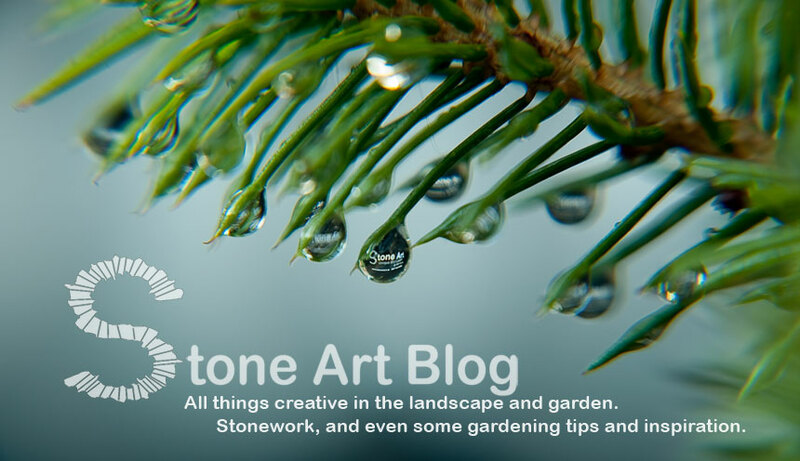 I just had a lady asking me for more information on some of my stone benches, and while compiling the information for her I thought, why not kill two birds with one stone and write a blog post about it. 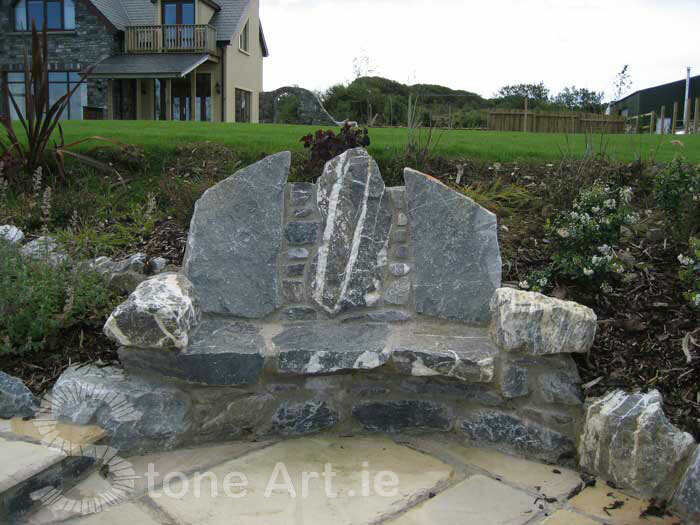 Enrich your garden with one of Stone Arts trademark stone benches. Each one of these immensely popular benches is completely unique and can create a completely new feel to any area of your garden. As they are built to look natural, the design of each bench is largely dictated by the style and shape of the stone used, as well as the location of the seat. Each bench has been carefully constructed so that they are not only pleasing to look at, but are also comfortable to sit in. Stone benches not only make great garden features, but they can also make beautifully unique memorials that can be appreciated for generations. They can also be engraved with any text or symbols on request. Ireland has a rich history of stone seats throughout its history, click here if you would like to know more about Ireland's ancient stone chairs. Here is some more information on a few of the benches I have made to-date. The Weedle Bench, Co. Kildare. 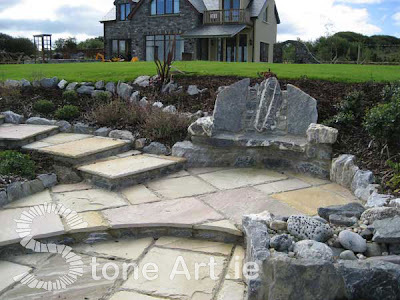 This stone seating area was built using quarried sandstone. 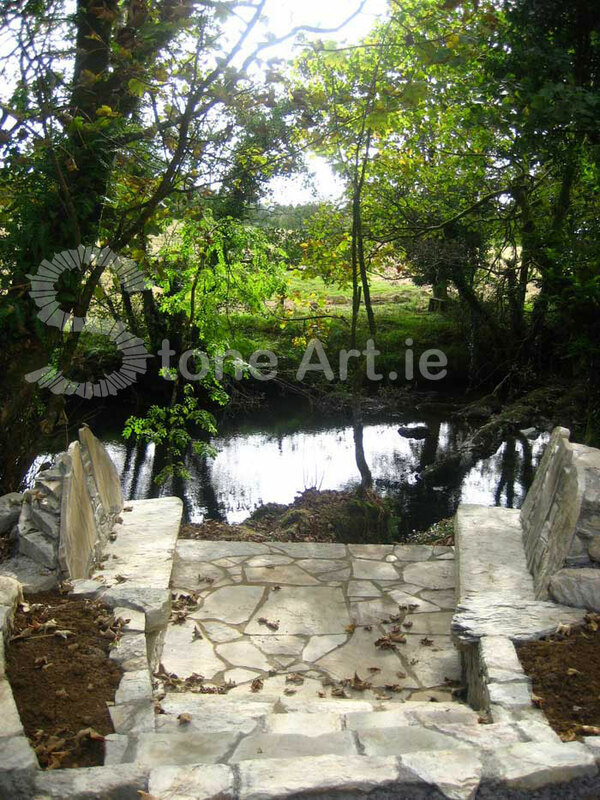 It roughly measures 2.8 meters deep by 2.4 meters wide. It will comfortably seat 8+ people. Both the risers and the fill between the back rests are dry stacked stone. 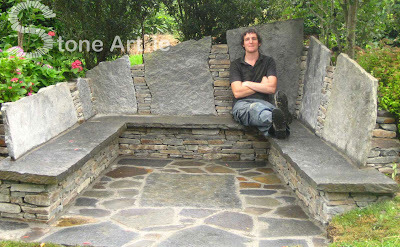 This seat was built as part of a adults chill-out area. 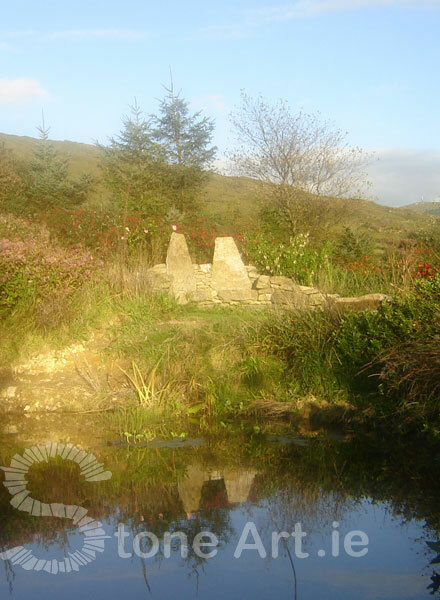 A place for the adults to escape the family and quietly sit in their own space, taking in the spectacular views over Bantry Bay, to the sound of the water feature beside them. 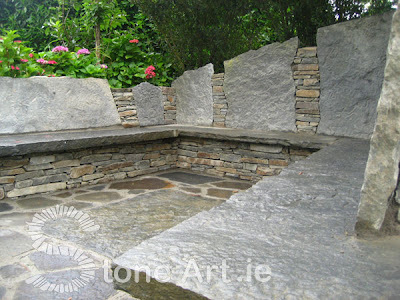 This seat was built from Kerry Limestone, rich in quartz. 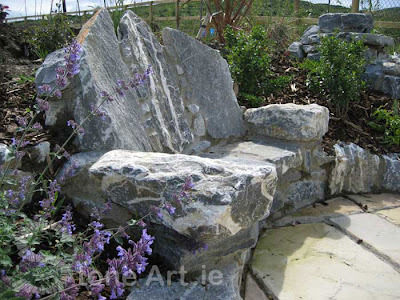 It comfortably seats two persons, complete with rustic arm-rests to rest your glass of wine on. 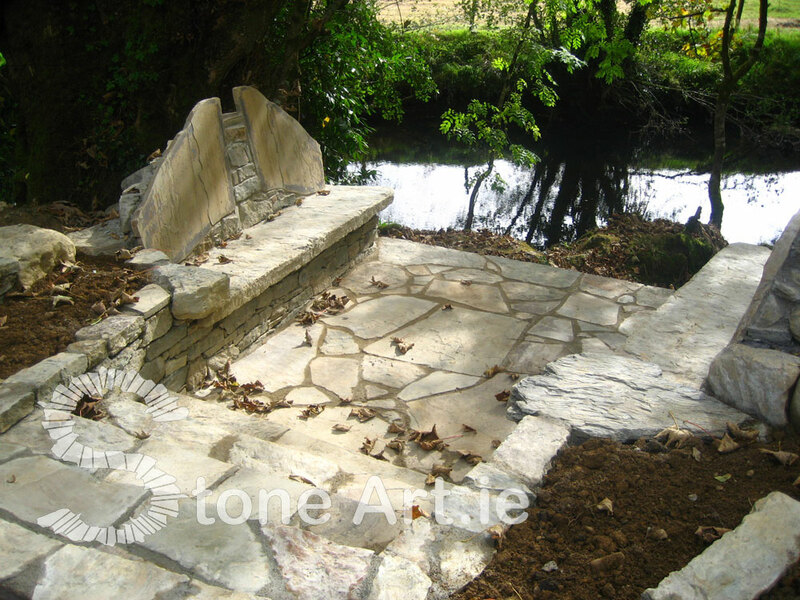 As the planting matures, the seating area will become hidden from the house, to become a little hidden treasure to be discovered. This bench also seats two people. 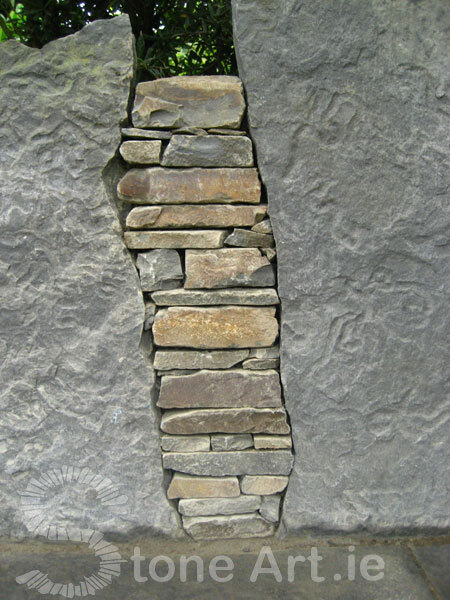 It was built from local field stone. 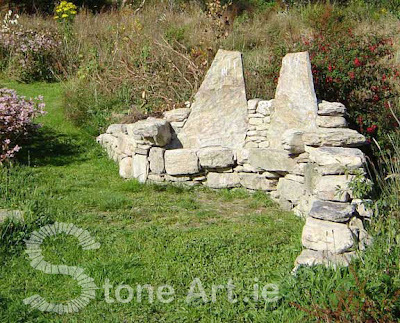 The bench is on a slight gradient and snakes along the garden, bringing shape into the garden. 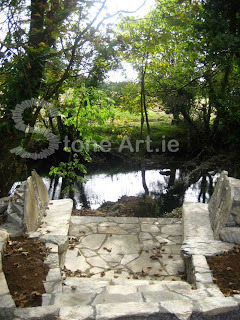 It has been positioned to get full benefit of the sun as well as the stunning views over the valley and distant sea. 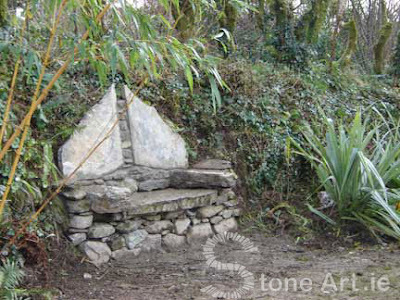 This bench was built into an old garden ditch where the ditch had partially come away, rather than simply rebuilding the ditch, I recycled some of the stones to build this bench. 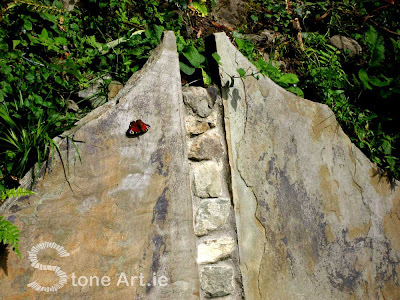 The back was build from a piece of local quarried stone I butterflied to make a symmetrical back. 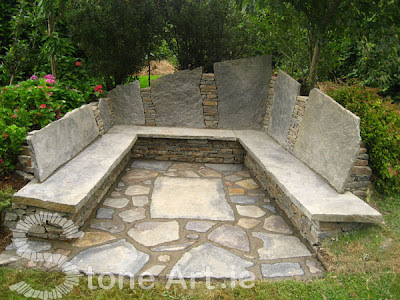 This is also a two seater bench. These are amazing benches. 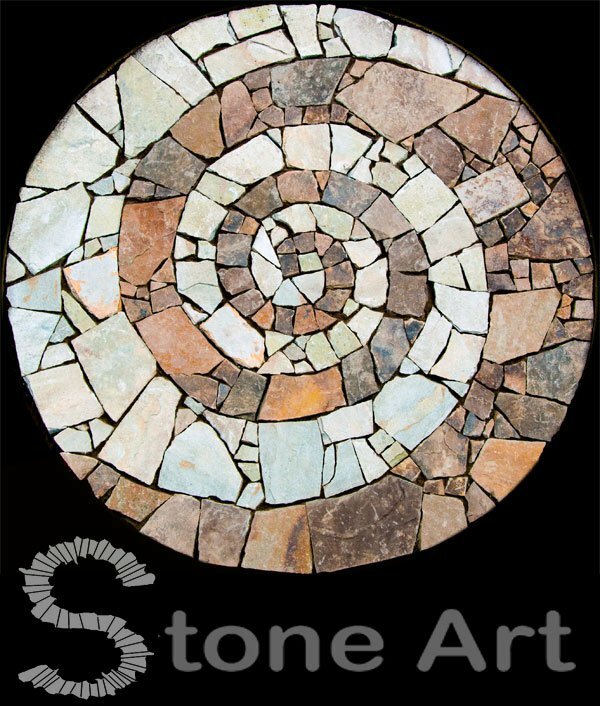 I love the stone work. Very fine. Thanks for sharing. Wow! Those are prettier than the landscape around them. Beautiful. 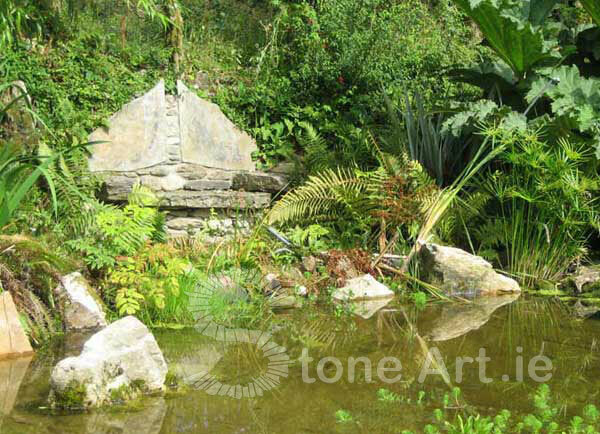 You must be proud to be able to create things which are functional, peaceful yet good to look at and seemingly part of the landscape. Well I would love to sit in them a while! Are they constructed in a dry stone wall way, or do you fix the larger slabs? 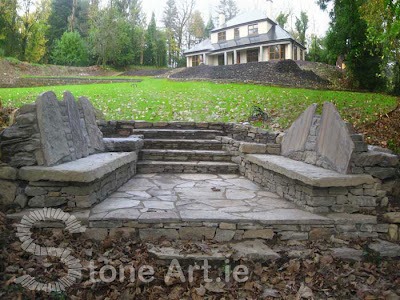 PS: Sorry just found Stone Seats, the Building Process. Thanks! These are gorgeous! I love your work. I can see it working so well in my tropical garden. You are so incredibly creative and your benches are amazing. Thanks for showing photos. Drop Dead Gorgeous Craftsmanship and Design. Once again, you've seamlessly combined form and function while blending them with their environment. Congratulations! Lovely lovely work. Those are great. Much more elaborate than any benches I've built. I especially like that last one with the two verticals and sited to look over the pond.